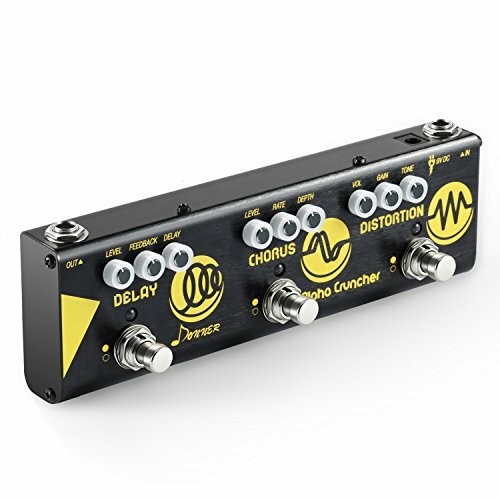 A multi-effects pedal is a stompbox that features a combination of digitally generated guitar effects. These clever devices also allow you to store your own combinations into patches, for quick, convenient use in a live setting. In this article, we went on a mission to find the best one at different price points (budget all the way to high-end). Here’s what we found. What is a Multi Effects Pedal? They give you access to a whole array of effects in one small box: such as delay, chorus, reverb, phaser, equalization, compression, tremolo, flange, echo, wah, and distortion. Technically speaking, they use modulation software which alters the guitar’s input signal after it travels into the device from the pickups. The signal is then digitally manipulated to emulate a different amplifier tone or effect before it’s outputted through a PA or amplifier. These devices are a great option if you’re just getting into the world of guitar effects, especially if you don’t feel extremely confident at choosing specific pedals, or you don’t know what tone you prefer to use. In this situation, one of these devices is a perfect, cost-effective way to start your journey of sound discovery. After a bit of playing about, your requirements will become more evident, and you can start budgeting for more expensive, high-quality, individual pedals. 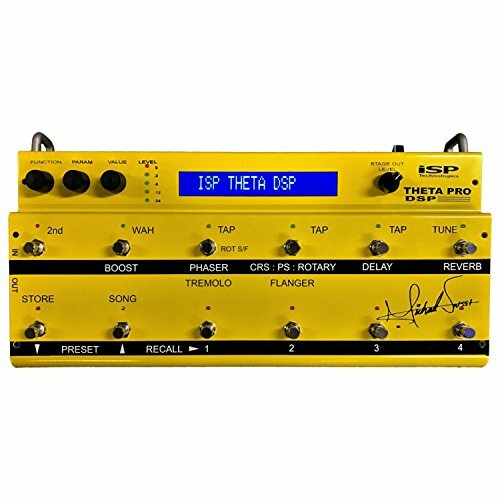 But don’t think for a second that only amateur’s use these devices: indie guitarist Johnny Marr is a massive fan of multi-effects unit, the BOSS GT 100. The cost savings are obviously enormous too; rather than forking out for single-use pedals you get tons of effects in one single unit. So no need for fancy pedalboards to house your many pedals, or external power supplies to run them. Plus you don’t need to worry about compatibility issues as they’ll ‘all play nicely together’. Effects are based in group types, meaning you can only use a single modulation, delay, or overdrive in one preset. More advanced processors let you combine similar effects for more tonal versatility. These sophisticated machines will require more time to work out how to use, but are way more versatile. Since these machines use digital signal processing, their technology has evolved to make the overall tone produced more realistic via the use of amp modeling technology. Some of these pedals can emulate the sound of, for example, a Marshall stack Plexi amp, or a Vox or Fender tube amp. If you own a decent tube amplifier, then signal modeling is not as important, but can still provide some extra tonal versatility. If you’re going to be alternating between clean and distortion, or delay and a dry signal outputting, you’ll need some form of a basic footswitch. Bear in mind, wah, volume swells, and effect intensity will require an expression switch to vary the sound too. If you’re going to be performing solo, then you’ll probably need a looper so you can play lead guitar over rhythm sections, or creating a fuller overall sound by adding layers of guitar to your music. Most guitarists are content with just using a single guitar input/output to run into their amplifier. But perhaps if you’re a vocalist that also plays the guitar, you may need extra input/output options, such as a microphone XLR input. Or if you’re going to practice along with your favorite albums, an AUX input will be a help. Additionally, if you’re going to practice in a quiet setting, you’ll need a headphone out option. We start with Zoom’s MS-50G. Similar to those of its predecessors – the Zoom G3 and G5 – each of the 50 preset options can hold up to six effects at one time. So, you can add, move or delete them, depending on your taste, and it will remember each creation by allocating it a number. This way you can easily select it again, and it can be switched on or off via the foot switch. On another positive note, it’s incredibly portable. This multi stomp is encased in a solid metal shell, takes 2 x AA batteries and is a size similar to that of your standard stompbox. So, unlike most products we discuss here, this device is much easier to pack in your bag and carry about with you. It’ll also last for 8 hours just with batteries, so you don’t need to worry too much if you forget your charger. Thanks to its simplicity and price, this device is most suitable for beginner guitarists who are looking to get a feel for the variety of effects out there. Tone-wise the multi-stomp isn’t quite as up to the mark as some more expensive options out there like the Boss GT-1 (below). Size – The multi-stomp features modern, technology within a standard pedal frame, so you’ll never need to worry about how you’re going to transport it to your next gig. Price – Compared to most over other products we discuss today, the Multi-Stomp costs far less and is nearly as versatile. Tone – This is a jack of all trades, so can sound slightly tinny and digital, but saying that, for the price, you really can’t be too fussy. The Donner Cruncher is by far the most affordable in this list. 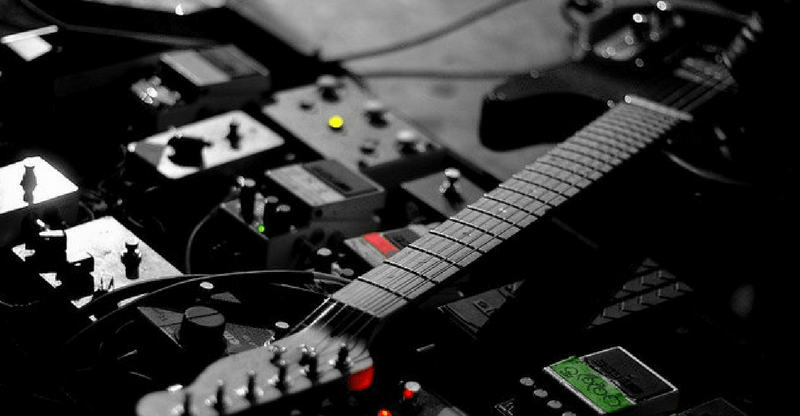 It features three types of guitar effect: delay, chorus, and distortion. The distortion is specially designed to mimic that of classic British rock bands like Led Zeppelin, and it’s chorus and delay are based on vintage analog versions. Three standard dials easily control each of the three effects so you won’t get too confused when changing your settings. Another bonus of the Cruncher is that its true bypass, so it won’t drain your natural guitar tone when not in use. It’s also relatively slimline, so it will be easier to carry around than most we mention here. Overall this is best suited for guitarists looking for simple controls and excellent tone, at an affordable price. Not so versatile – As we previously mentioned, there are only three effects to choose from here, so this may not be versatile enough if you want to explore the realms of guitar tone. Delicate – Although it’s small size makes the Cruncher easy to carry around, it also means that when you press the footswitches, you risk accidentally stomping the dials. If tonal versatility at a lower price range is what you’re after, then the Boss GT-1 is probably for you. This pedal features over 100 presets, ranging from classic analog recreations to modern MDP-powered effects. Boss designed the GT-1 so that you can customize, edit and save your creations with little effort. 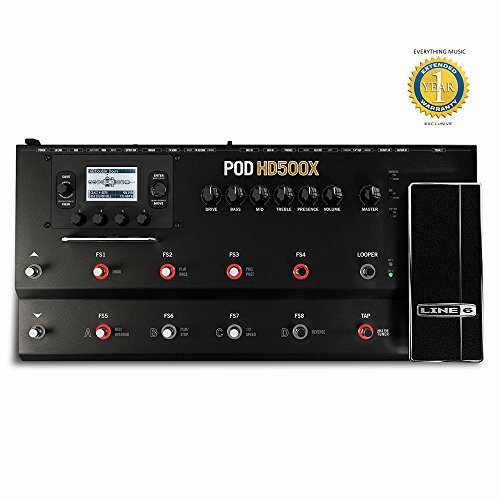 The best thing about this device is that it features Boss Tone Studio Software – this grants you access to their patch collection, which includes 99 manufacturers pre-sets as well as 99 downloadable patch slots so you can add your own creations. The GT-1 also acts as a tuner and loop station so that you can layer up your riffs and solo over the top with the built-in expression pedal. Overall the GT-1 is best suited for more experienced guitarists. You’ll probably need some prior experience with expression pedals to use this technology well – the inclusion of a looper station is a nice add-on too. Software – With access to Boss’ patch collection, you’ll have plenty to play around with tone-wise. Expression pedal – Can be used with the wah setting, or as an effect swelling tool. The POD HD500X by Line 6 is an incredibly diverse unit and based on real amplifiers for a realistic and authentic tone. Featuring over 100 guitar effects, of which eight can be used simultaneously, you can imagine the scope for creating different sounds here is immense. The best feature of the HD500X is its ability to stack the selected amplifier and guitar effects together, letting you create classic or unique amp tones without having to pay thousands of dollars for the real thing. This pedal is also great if you’re a vocalist, as it offers various loudspeaker and microphone modeling presets, for adaptable vocal effects. On top of all this, the HD500X can be used as an interface to allow you to record guitar riffs onto a computer program like say Reaper, to create your own songs. In a live situation, there’s also a looper option, so you record and build melodies live. 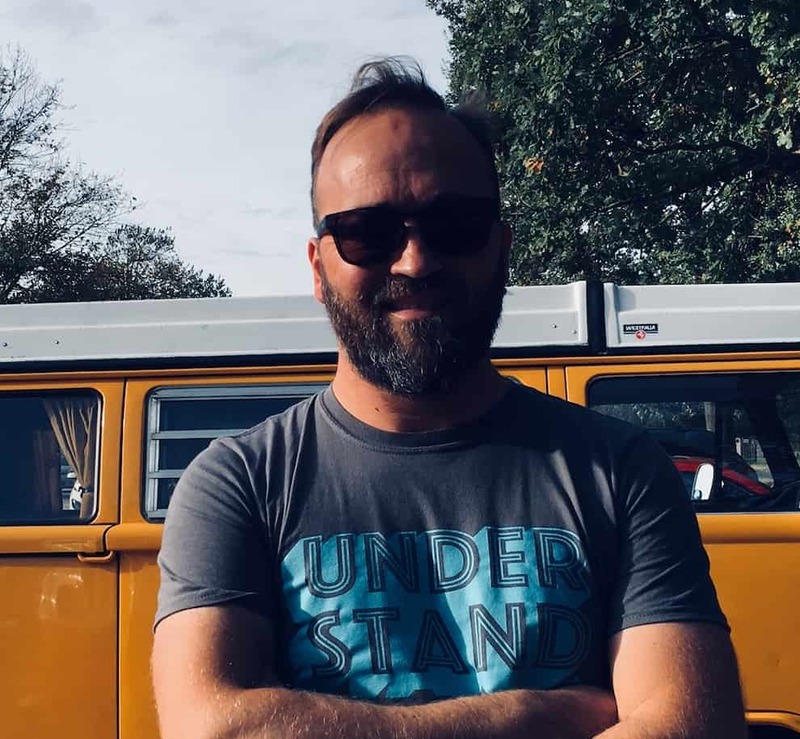 This product is complex, and you’ll need some experience using similar software as well as setting up PA systems and amplifiers if you’re going to end up using this correctly. If you’re ok with this and need that realistic amp tone with plenty of versatility, the HD500X definitely won’t let you down. Versatility – Features an incredible number of guitar effects, amplifier types and microphone settings, as well as including the option of combining eight at once for extreme tonal diversity. Extra Features – The HD500X comes with an expression footswitch – for wah and volume swells, as well as a tuner and a looping system, making it very convenient. Jack of all trades – With so many effects on offer here, of course, some are not so realistic, so if you’re after a particular sound, it’s probably best to try one out before you buy to avoid disappointment. If you thought these devices couldn’t get any more versatile than the models we’ve already discussed – think again! 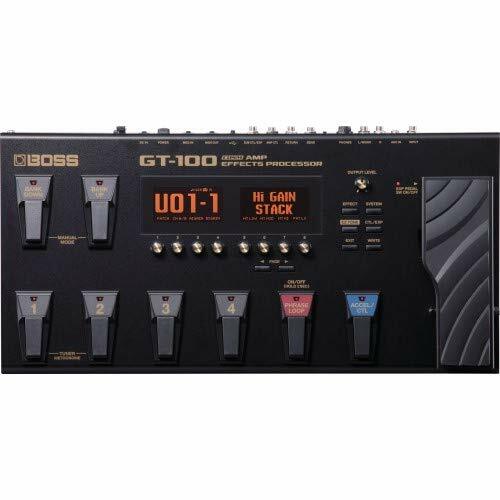 The Boss GT-100 offers a massive 400 effects, and its amplifier settings are modeled on real vintage units for realistic sounds; there’s an improved EZ Tone graphical grid, so you can visualize patch creations you make. Although all these features are great, the best aspect of the GT-100 is it’s amp and overdrive/distortion customization control, letting you recreate classic heavy metal vibes. Another cool feature of the GT-100 is that it can be switched onto a manual mode, which makes it easier to use while playing live. In manual mode, you can hold down two footswitches to use the tuner, or press a single footswitch to enable the looper. You can even use two overdrives or distortions at once – as you can imagine, it gets pretty intense when you do. 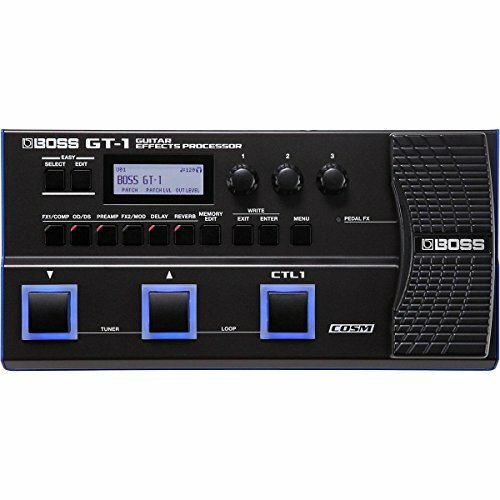 Because the GT-100 uses Boss Tone Studio to adapt some of its patches and presets, it suits experienced guitarists that are good with computer software. There are also around 400 effect options to choose from, so you’ll need some prior experience using them to ensure you make the most of what’s on offer. Manual Mode – This feature is a refreshing addition to the GT-100, as not only does it make things a whole lot easier while playing live, but it also lets you add two distortions into the effects chain at once, this produces a compelling sound. Tone – Designed to sound just like a real tube amplifier and various vintage analog stompboxes – and it does a pretty good job. A lot to learn – Working out how to use the software and interface settings takes some head scratching before you completely figure it out. Requires prior knowledge – To make the most of all this machine, you’ll need to know how to set up EQ levels and amps…. with so much going on here you can get lost in it all. The BOSS GT-1000 looks fairly similar to the GT-100; however, it provides it’s an owner with next level sound performance. It features Augmented Impulse Response Dynamics, which uses multi-dimensional processing (MDP) to produce tones similar to those made by tube amplifiers. The GT-1000 can produce 116 different tones and has 250 User/250 preset patches to choose from in total, making it even more versatile than the GT-100. It’s worth mentioning that in this mix, there is the option to use BOSS MDP effects like Digital Distortion-500 and Reverb-500 – so you’re getting an entire collection of Boss pedals in one. The most beneficial aspect of the GT-1000 has to be that it can be conveniently controlled via the Boss Tone Studio app and that it features a USB Audio/MIDI interface that allows you to edit the effects from a tablet via Bluetooth. There’s also an expression footswitch and carryover function, which allows for fast switching of patches with delay/reverb so that you won’t notice an obvious change in effects while playing live. 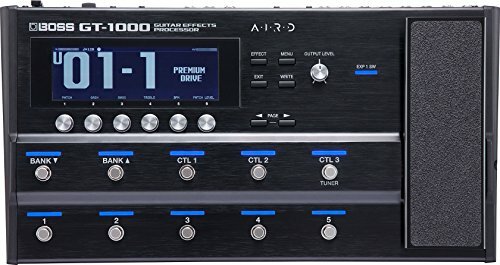 Overall, the GT-1000 is very complex, and you’ll need some prior knowledge of amplifiers, pedals, EQ and Bluetooth/Tone Studio software, to have any grasp of how to use it correctly. Because it’s rather expensive, the GT-1000 suits guitarists with a high-end budget, looking for maximum versatility and decent tone. Complex – You’ll need some prior experience setting up amps, pedals, EQ and Bluetooth/ Tone Studio software, to get the most from the GT- 1000. Heavy – You’ll either need to be strong or have a vehicle to cart it to and from gigs. If you’re a fan of versatile heavy metal tones, the MS Theta Pro may well be the pedal for you. It was designed (and is used live) by Michael Sweet of Stryper and includes 11 of his personal presets. The best thing about it is its ability to recreate vintage speaker models and rock n’ roll tone authentically. All this tone variation is made possible thanks to it’s 3-band parametric EQ and post-distortion bass and treble controls. These features allow the guitarist to contour their distortion while using a realistic rotary speaker effect – You can even alter the amp’s sound by moving a virtual microphone! The Theta Pro is also great for recording songs or playing gigs or both simultaneously, without having to lug a full speaker cabinet around with you. During your recording session or live performance, you won’t need to worry about noise interference either, as it includes decimator noise reduction technology. It’s slightly easier to handle than the GT-1000 as it’s EQ configuration is more straightforward. Overall, it’s best suited for guitarists who want to play heavy metal. Amazing tone – Of all the products we’ve discussed, the Theta Pro offers the most realistic amplifier and distortion sound. Easy to handle – Although you can still save a whopping 256 of your own presets, this pedal has an easy to use EQ and control system, so you’ll be able to handle all this versatility without too much confusion. Less modeling ability – Because the Theta Pro doesn’t feature computer software like the Boss GT-1000, it’s less about tone modeling and more about customizing your distortion and amp settings, and therefore it may not be enough control for some guitarists. While it’s true that the products we mentioned above all have their benefits and setbacks, there’s no real right or wrong option. It’s pretty much down to what you decide you need. 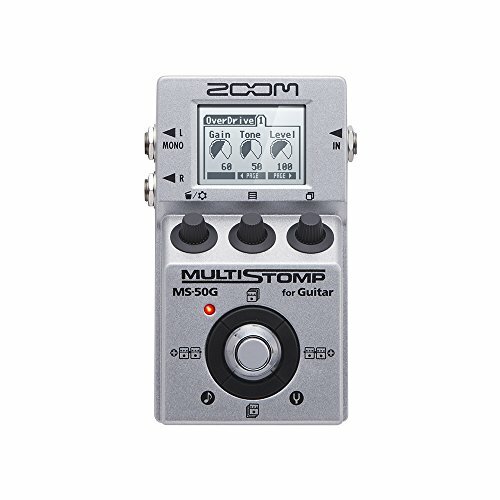 Saying that, if you’re a beginner guitarist or new to pedals in general, you might want to try out the Zoom Multi Stomp MS-50G – it’s pretty inexpensive and is simple to use, working as a single stomp unit – so it’s unlikely to confuse you. If you’re into heavy rock and metal and need a pedal to enhance that sort of guitar tone, why not try the Donner Cruncher or the ISP MS Theta Pro. The Cruncher is very affordable and recreates classic rock tones pretty well, while the Theta Pro is as close as you can get to the real thing amp-wise. If you’re more into versatility than sound specifics, the Boss G1-1, Line 6 POD HD500X, and Boss GT-100 all offer hundreds of presets and patches to mix up and alter, and can also be used as an interface to record music. Out of all those mentioned today, the highest quality modeling software was found in the Boss GT-1000, but it’s a highly complex, expensive pedal – So, make sure you’re 100% set on it before you buy.